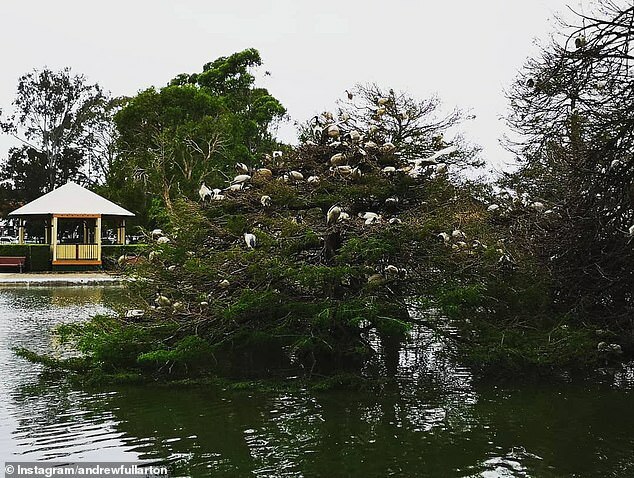 Ibises have invaded a Brisbane park spreading an ‘unbearable smell’ that has angered local residents and a nearby school. The wading birds have stunk out Einbunpin Lagoon Park in Sandgate, northern Brisbane making parts of it unusable.. The urban flamingos have also left record amounts of poo in the water feed a blue-green algae bloom. 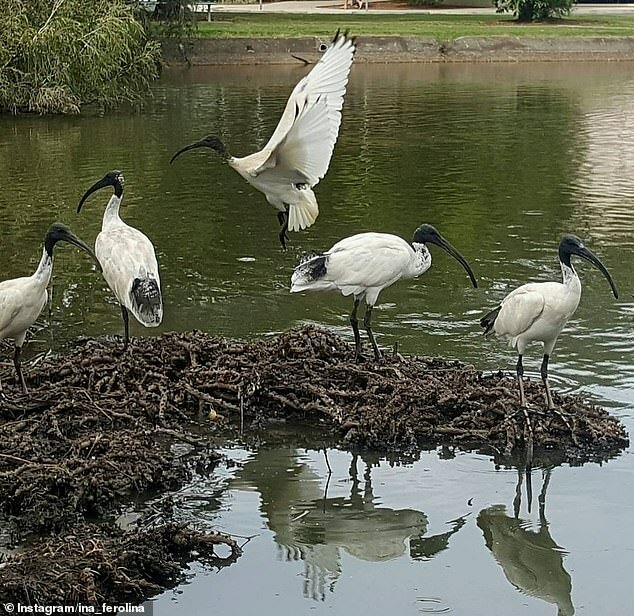 Brisbane City Council’s has been blamed for missing the hatching season when they could have prevented more ibises from being born. Cr Jared Cassidy of the Deagon Ward said the lagoon’s ibis population was larger than ever and half the park has been ‘unusable for months’. ‘It (the ibis population) should have been front of mind,’ he said to The Courier-Mail. A contractor was hired to check the lagoon and remove eggs but the eggs had already been hatched. One egg and two nests were removed from 48 roosting ibis by the contractors in January. 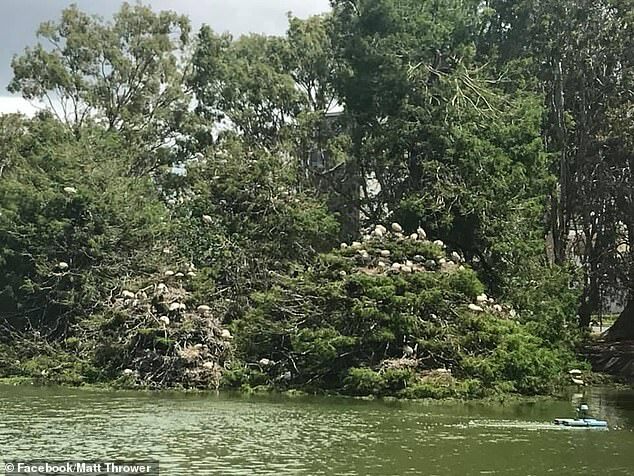 Ibis are protected under the Queensland Nature Conservation Act, meaning it is prohibited to remove nests that contain hatchlings and fledglings. The park’s ibis population started being monitored in the 2017/18 breeding season. Daily Mail Australia has reached out to Brisbane City Council for comment.